Come October and you know it is the start of a brand new festive season. And being the season of makeovers, your home is a space that must not be forgotten. Also you can just make additions and think out-of-the-box to add that touch of festive fervour to your home decor. The festive season is the perfect time to make your house look impressive and give it a lap of luxury. The house should look warm, welcoming and classy, all rolled in one. “One should try boosting the spiritual quotient of their home. Adding a festive touch to your home décor to set a celebratory mood can be easily done. There are simple everyday objects that one can use that will take your home from drab to fab in just a few minutes. The first step is to clean the clutter. Create a festive look by adding the sparkle of lights around your home; this will light up your home and your mood. Brighten your living room by using vibrant colour sofa cushions and floral decoration. The entrance foyer and main doors is the first thing that anyone would notice at your house. Give your entrance a new look by embellishing it with mirrors and bells hanging from the doorway to welcome guests. An assortment of hanging diyas and bells can be added at different heights to give the entrance a unique and interesting feel. Also, adding a few centre pieces makes the house look attractive. 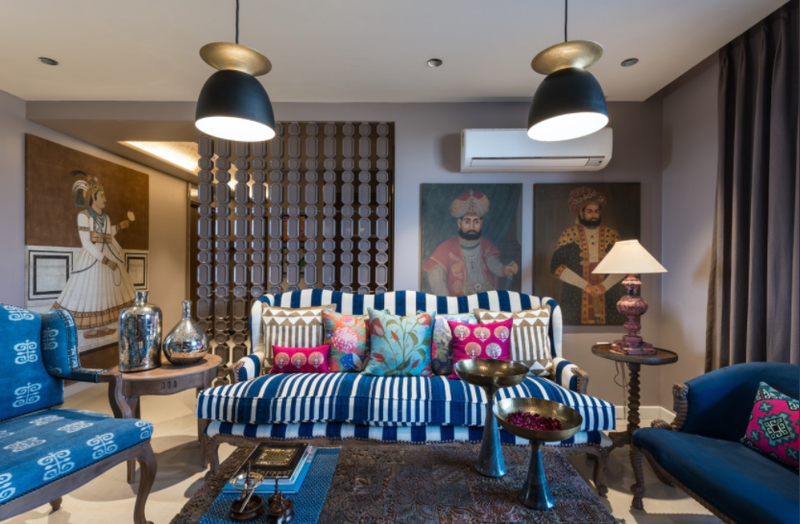 Fresh flowers and diya’s with incandescent lamps will bring fragrance to the house,” says Architect Noopur Doshi, Co-founder/Partner, Studio E.D. Architects and The Matchbox Cowork, Mumbai. Festivals in India are vibrant chiefly by the use of colours like reds, pinks, yellows, turquoise, tangerine and is one of the quickest way to turn your decor festive in mood. “Use of red brocade cushions, silk cushions in shades of turquoise and yellows with traditional motifs. Throw carpets or rugs that add pop of colour. Avoid blues instead try hues of yellow, mustard and tangerine. Use few accessories like tassels, hanging elements in some pop colour to accentuate curtains. Try doing a reupholster of one of classical chair in vibrant colour of velvet,” advices Shantanu Garg, Interior designer, Shantanu Garg Designs. As far as accessories are concerned, use brass elements or any coloured metal that’s glossy. Traditional art with contemporary touch like Pichwai art that has vibrant colours and traditional miniature art are great additions too. Lighting are the biggest game changer, replacing your muted chandelier with some traditional formed coloured glass chandelier would definitely turn the festive mode on. Decorate your home using assorted range of genuine and original handicraft products, this season. “With idols of Lord Ganesha, Goddess Lakshmi, eye catching puja accessories like diyas, t-light holders and amazingly genuine brass ware products, terracotta, pattachitra, leather lamps, marble products and more. Earthen Lamps are a passé, this year opt for hand-carved Gorara Stone Stands to lit diyas at your place. People often use such stands with diyas, candles and battery-fitted LED too. Some of these carved and unique shaped Gorara stone diyas also come with incense Sticks and aroma stand to fill your room with tantalizing fragrance. Marble Lanterns, Brass & Leathern Lamps and Crystal Ceiling Fixtures are classy and chic. 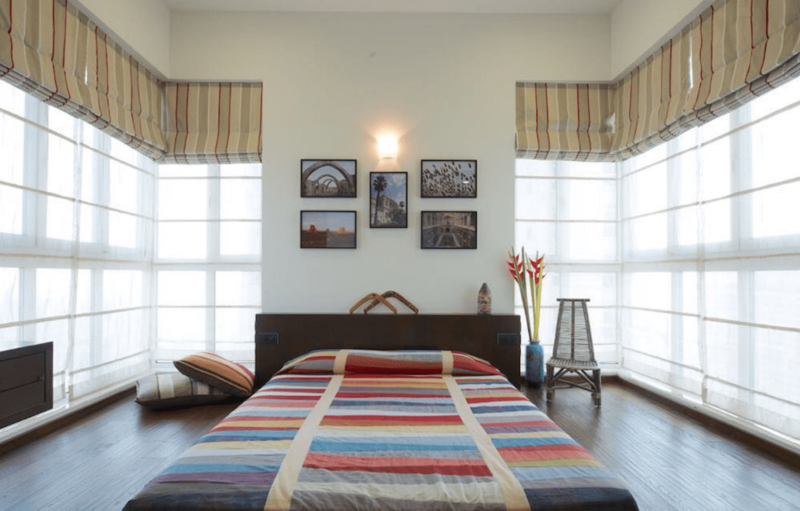 With array of lamps, lanterns and decorative accessories, you can make your home a dreamy luminescence and shimmering brilliance,” avers Priyank Varshney, Founder, Handikart.co.in. Spruce up the ambience of your home with a little innovation to make it look young and beautiful again. Even if you do not wish to go for a complete makeover, you can plan little redo’s in different parts of the house and give it that ultimate festive look. “You can choose to just paint a single wall in each room or even paint the living room in a different colour. Brighten up the dark corners of your room with a fresh new colour. You can either go with the festive reds, oranges, maroons or go wild with your own palettes. To redefine your interiors with unmatched elegance, start by rearranging the furniture, the room will look definitely look different. Changing the drapes and furnishings, are the easiest ways to add a festive look to your home. Place ethnic rugs or curtains that give your space a festive spirit. You can use duppattas or stoles as throws-overs on the sofa or as embellishment on curtains. Add mirrors with fancy frames, to enlighten a dull space,” explains Doshi. So this season, give your home a makeover too and let the festivities begin! Have nails and hooks put up in advance so that does not spoil the paint and polish. Festive season demands to be bright and colourful. One must add colours with the decor. Accessories on window sills or hanging diya’s used as runners on side boards and table tops can make your house look beautiful. Do not clutter your space with a lot of floor spreading and do not keep any inflammable material close to your decor. Not all décor themes have to be simple. Festive season is all about extravagance. Make one focal point, a quirky fun piece is enough to grab the attention. Do not go overboard with colour, pattern and accessories. Decorate the entrance or foyer with flowers and ceiling lamps. This story appeared in Deccan herald’s Homes & Interiors supplement dated 29th Sep 2017 here.